Precious metals may run in 2019, driven more by sentiment than fundamentals. Any surge in precious metals will bring in new investors who will need to limit risk. Diversification across different stages of mining projects is advisable. Mining-friendly and rule-of-law jurisdictions should be preferred. Taking profits reduces potential future losses and calms investor psychology. Most analysis of precious metal prices emphasizes fundamental influences like geopolitical tensions, trade wars, developments in the Chinese economy, and changes in real interest rates and the US dollar. Another approach focuses on sentiment, ignoring the seductive apparent logic of specific events as drivers. In my experience, the most successful forecasting tool appears to be a variant of Elliott Wave theory that incorporates Fibonacci analysis and is advocated on Seeking Alpha by Avi Gilburt and others. The idea, as I understand it, is that while specific events may have some small and fleeting impact on metal prices, they feed into a large mass of long-term accumulated sentiment, and it is the cycles of this longer-term sentiment that drive prices. This would explain why the same sort of change or news event can counterintuitively have an opposite effect on metal prices within a short span of time. Analysis based on this approach is currently forecasting a strong year for gold. If that happens, more investors will be entering the precious metals space for the first time, and they will need tools to mitigate the risk of what will always be a volatile speculation. 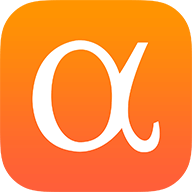 A number of Seeking Alpha contributors cover precious metals from different angles, ranging from a focus on macro trends that impact metal prices (Andrew Hecht, Boris Mikanikrezai) to individual company analysis (Gold Panda, Simple Digressions, Gold Mining Bull) and trading (Taylor Dart, Doug Eberhard). Many others could have been mentioned. This article takes an intermediate position, looking at portfolio management techniques that can reduce the risk of mining stock speculation. Mining stocks can be categorized as majors, mid-tier producers, and junior explorers (pre or post resource estimate), and they can be collectively accessed via ETFs such as GDX, GDXJ and the related 3x leveraged ETFs. Mining stocks offer greater leverage, up and down, to changes in precious metal prices, but are subject to company-specific risks like bad management, share dilution, debt, and, in the most junior cases, simply not finding an economic deposit. Diversification across the different stages of mining projects can lower risk, and different weightings can modulate it. Majors. These are the leading, large-scale producers, led by companies such as Barrick Gold (GOLD) and Newmont Mining (NEM). Their share prices are likely to react quickly to changes in metal prices, but given their already large market cap and share structures, they are unlikely to generate the multiples that smaller companies can. I personally avoid this category, because I would rather put the limited speculative funds I have available to work in higher-risk, higher-reward plays. That said, majors are an important part of a more conservative approach. Mid-tiers. These are smaller producers that may offer more upside because they start from a more modest market cap and share structure, and, in some cases, because their all-in sustaining costs (AISC) fall not far short of current metal prices. A classic example of the latter would be McEwen Mining (MUX), which struggles to break even across a stable of highly marginal gold projects, but for precisely that reason, every dollar increase in the gold price has a disproportionate impact on profit margins. Junior Explorers (post resource estimate). These miners are not yet producing and may not yet have a preliminary economic assessment (PEA) to demonstrate that their resource can be economically mined. But they do *have* a resource, and as such will react more strongly to metal prices than a junior that is yet to make a discovery. This is my preferred category, as it can combine reactivity to metal prices with tight share structures and undervalued market caps, maximizing upside. The challenge is to select the best of this category, based on resource size, location/jurisdiction, management, and upcoming catalysts like additional drill results or a PEA. My personal favorites are Bravada Gold (OTCQB:BGAVF), which has a portfolio of projects in Nevada, Dolly Varden (OTCPK:DOLLF), a silver miner in Canada’s golden triangle, Ely Gold Royalties (OTCQB:ELYGF), a royalty company focused on Nevada, and First Vanadium Corp. (OTCQB:CCCCF), which has a high-grade and near-surface vanadium deposit, also in Nevada. Bravada’s Wind Mountain resource (900koz gold and 24moz silver, indicated and inferred) is unattractive at current gold and especially silver prices, but if those metals surge, so will Bravada, as happened in 2016. Dolly Varden already has a sizable silver resource (42moz, indicated and inferred) that is being enhanced by ongoing drilling, and Ely Gold’s royalty business model gives exposure to metals across a series of projects without the costs and shareholder dilution of minebuilding. First Vanadium Corp. seems greatly undervalued given its just-announced current resource estimate (378m pounds vanadium, indicated and inferred) and current vanadium prices. You’ll notice my jurisdiction bias in favor of countries that are mining-friendly or at least respectful of the rule of law. I focus on North America, Western Europe and Australasia, and avoid regions like Africa and South America. Some countries in those regions are worthy, of course, but given the high number of projects to consider, I prefer to simplify. Jurisdiction is critical: mines and projects have been confiscated at times in some parts of the world, subjected to government obstruction, or shut down by civil war. The stakes are high. Junior Explorers (pre resource estimate). These miners are still searching for a discovery, and they are a binary bet - if they report impressive drill results, the upside can be enormous, but until they do, the share price is likely to stagnate at low levels as the company repeatedly dilutes shareholders to raise money for operating costs. If the appetite for new shares dries up, the result can be bankruptcy. I like plays such as Fremont Gold (OTCPK:USTDD), which is exploring the historic Gold Bar mine and one of its satellite pits, right next to McEwen Mining’s project of the same name in Nevada, which is based on the remaining satellite pits. Fremont had some encouraging early drill results, and the hope is clearly that further discoveries could prompt a takeover by McEwen at a hefty premium. ETFs. Many investors find stock picking in the precious metals space to be especially treacherous, and prefer to diversify away the individual company risk by holding ETFs such as GDX (larger miners) and GDXJ (smaller miners). The trade-off for reduced risk is reduced return, since individual stellar performers will be diluted in the mass, but this approach can make sense for many investors. Taking profits is a good idea in all types of portfolios, but is especially important for mining stocks because of their extreme volatility. I can think of one stock I bought at 22c that surged as high as $1.90 before drifting back down to 55c, and I would have been upset to watch all of those paper gains evaporate, even if I’m confident that the stock will go even higher with time. I usually split realized gains three ways: between new mining investments, dividend stocks, and a cash reserve awaiting a severe market decline. A common rule of thumb is to sell half at a double or a third at a triple, thereby recovering the initial investment and remaining in the market with house money. The knowledge that the investment now cannot lose in terms of the original outlay has a calming effect on investor psychology and makes it easier to avoid selling the rest of the position too early. Taking profits does reduce any future upside, of course, and given my relatively small position size, I generally sell less than 50% when doing so. When miners crash, they crash hard, and at some point you’ll be faced with the question of averaging down. If you do, the outcome of the bet will be more extreme: more money lost, or more multiples gained. If the chances of a positive outcome are high, averaging down may be justified, but very often, the investor had already taken the maximum position justified by the risk/reward balance, and that balance has not been changed by the lower share price. The potential size of any gain may have risen due to a lower share price, but not the probability of it. If gold and precious metals take off in 2019, as Elliott Wave-based forecasting suggests is likely, then a flood of new investors will enter the space, and many may not be familiar with the relevant risk mitigation techniques. This article suggests diversifying a mining portfolio across the different phases of projects, given that stock in later stage projects (producers) will rise earlier with metal prices but offer less upside, while non-producing companies with a resource will rise later but move further, and pure explorers offer maximum upside but may find nothing. ETFs can help minimize individual company risk, but they also dilute the individual star performers. The article also suggests that investors prefer mining-friendly jurisdictions, take profits on the way up, and think much more carefully than usual before averaging down. Disclosure: I am/we are long BGAVF, ELYGF, CCCCF, USTDD, DOLLF. I wrote this article myself, and it expresses my own opinions. I am not receiving compensation for it (other than from Seeking Alpha). I have no business relationship with any company whose stock is mentioned in this article.